The 3 Beady Eye men wrote many more, and very good ones during Oasis' time: Thank you for the good times (A), Boy with the blues (L), Born on a different cloud (L), To be where there's life (G), Soldier on (L), Pass me down the wine (L), Keep the dream alive (A), Guess God thinks I'm Abel (L), Hung in a bad place (G), Won't let you down (L), The quiet ones (G), etc. I wanted to make a compilation with all their songs, but then I thought that Noel was obviously playing guitar on all of them, and he probably gave his opinion and changed some things, so he wasn't absent. I used some demos only, as to imagine a worse quality if there wasn't Noel (but he was playing on these demos too). Anyway, when you listen to the Beady Eye album, you don't notice, in the sound quality, the absence of Noel... Andy and Gem are two great guitarists. So in that period (2000-2009), since Liam wrote the (fooled around) Little James and Oasis made their first appearance without Noel (Milan, 30 May 2000), Oasis started to be a different band (in 2000 in the Go Let It Out video Noel was even playing bass only), something intermediate between Oasis and Beady Eye. 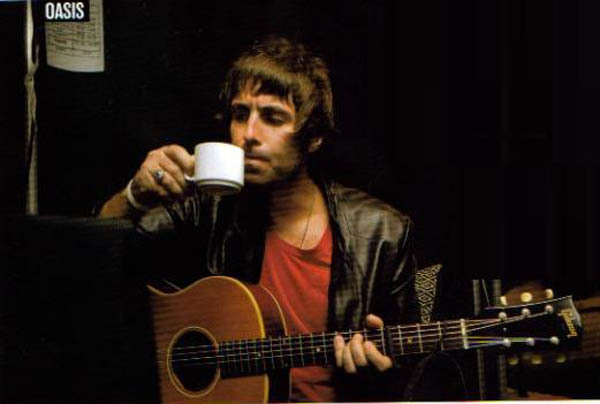 It seems that in 1994 the successful Columbia from Definitely Maybe was first written by Liam, then Noel changed it. Later, Liam wrote a song, Love me and leave me, for the band Seahorses by John Squire (Stone Roses), they were @ Milan gig in 1997.